Yes folks, it is finally upon us. Winter is here (which is ironic considering the heat wave we have been going through). So after nearly two years, we are on the threshold of the conclusion to Game of Thrones. For six Sundays we shall be thrown again into the world of Westeros. The trailers have not revealed much more than we already know. There will be epic battles this final season. So, what are our guesses as to what season 8 will unleash? First, we are pretty sure that Winterfell will fall, and we are not relying only on the trailer shot that appears to show it in ruins. The sight of the icy Viserion bringing down the wall will linger in our hearts and send chills down our spines for a while to come. It is inconceivable to think that Winterfell, despite the allied forces that will assemble there, will be able to withstand the Night King’ onslaught. 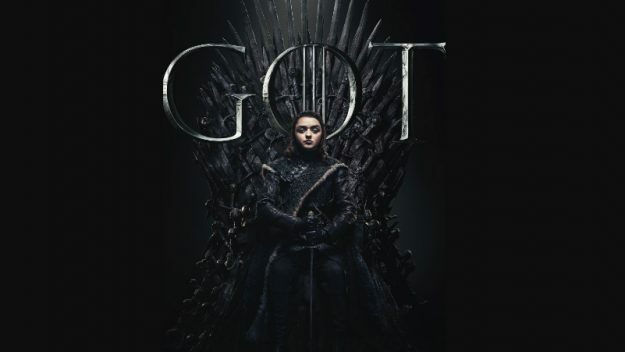 We know Winterfell will not go down with a whimper (as the ballet has already been described as the longest battle sequence in cinematic history), but go down it will! Second, we are pretty sure that we will witness the death of a major character. It is Game of Thrones, and our morbid desires must be fulfilled! The question would be who? Shall we lose Daenerys? Jon? Sansa? Tyrion? Arya? Cersei? Or maybe Jamie? Your guess is as good as mine. Finally, we expect a twist at a point in time, which may come by way of the information that will lead to the hopeful defeat of the Night King. Maybe for this we would rely on our “Knower” (The Three Eyed Raven) or “Knowledge gatherer” (Samwell Tarly) or just maybe it will come as a complete surprise. Well, we can afford to wait. In just a few days we shall commence the final lap. Shall a child be born of Jon and Daenerys? Will Jamie kill Cersei? Will Arya continue to work on her list? Or will she be distracted by the coming battle? And the ultimate question – who will sit on the Iron Throne (if it will exist by the end of the story)? April 14… we await thee.